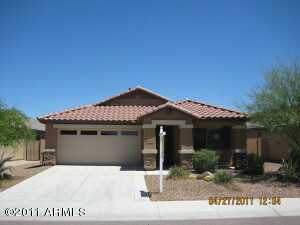 Highly desirable Desert Peak subdivision and Great location! LOW, LOW, ENERGY COSTS will help take the burn out of the hot Phoenix summers! Say goodbye to high-energy bills with this highly efficient solar system, boasting 6.72 kw! Come to your gorgeous home from enjoying the beautiful views and mountain trails of the surrounding recreation area with large community park, through a beautiful custom door into this ENERGY EFFICIENT stunner! This N/S facing home has it all: Very Private corner lot with all 1 level/story houses around, cathedral ceilings, large open-plan kitchen with granite countertops, extra large island, stainless steel appliances (Bosch dishwasher) and newly upgraded designer porcelain tile on the first floor. Four bedrooms + an office and loft makes for plenty of space to work and play. Cross Streets: Cave Creek Rd & Pinnacle Peak Directions: North on Cave Creek Rd, West on Quiet Hollow Lane, South on Shady Spring Trail then East on 29th Place to your new home!